Dead Light Bulbs. A buyer walks into your home and flips a light switch, but nothing comes on. The bulb is dead. Maybe the home is vacant, so you figured, “Why pay for a bulb in a light fixture that doesn’t need to be used?” Or maybe it burnt out after the home was listed and you haven’t been around to notice. Or maybe you’re just feeling lazy. Well, that light bulb may have just killed your sale. Why? The buyer may assume the light fixture, not the bulb, is dead (ugh, a repair!) or it may make the buyer question what other upkeep you’ve neglected to do (that’s going to factor into an offer price). Bulbs are cheap. Take the time to replace them. Carpet in the Bathroom. It absorbs urine around the toilet and doesn’t allow water to properly evaporate, so the materials underneath are at risk of mold. Just imagining what lies underneath is a major turn-off to buyers, who don’t want to deal with repairs and other people’s bodily fluids. Brightly Painted Rooms. You took an AMAZING trip to the Caribbean and on returning home, decided to completely redecorate your home in a color scheme inspired by it. It’s just paint, right? Sadly, most buyers find it difficult to look past boldly painted walls. First, the colors make it more difficult for them to imagine their own furniture and belongings in the house. Second, they immediately imagine all the work they’ll have to do prior to moving in. Buyers want less work. Plain and simple. A Dead Lawn. Does your home look great inside, but lack curb appeal? You’ll want to get right on that! Patchy (or overgrown) yards, dying shrubs, unkempt bushes, hazardous tree limbs…a collection of lawn gnomes….These are the types of things that will make a buyer refuse to get out of the car to see your home. It DOES happen! Sloppy Closets and Cupboards. Just because the mess is behind a closed door doesn’t mean it’s not going to be seen. Buyers will open drawers and doors, and if they’re stuffed full, they’ll assume the home won’t have enough storage for them. So, make sure you clean out every nook and cranny, and put what you really don’t need in a storage unit. Listing Too Soon. Are you in the middle of renovating or updating your home? Don’t list until you’re done. Your MLS pictures are basically your first showing. You want the home looking as good as possible and with all the features that the buyers will be purchasing, because they will assume what’s in the pictures is what they get. If the features aren’t there in the pictures, the buyers will assume they aren’t present in the home. Good pictures also means no construction dust, materials, or other remnants lying around. When it comes time for showings, you don’t want buyers walking through a construction zone, because, let’s face it, the home needs to be accessible and available for showings or you may alienate certain buyers. It really pays off to wait. 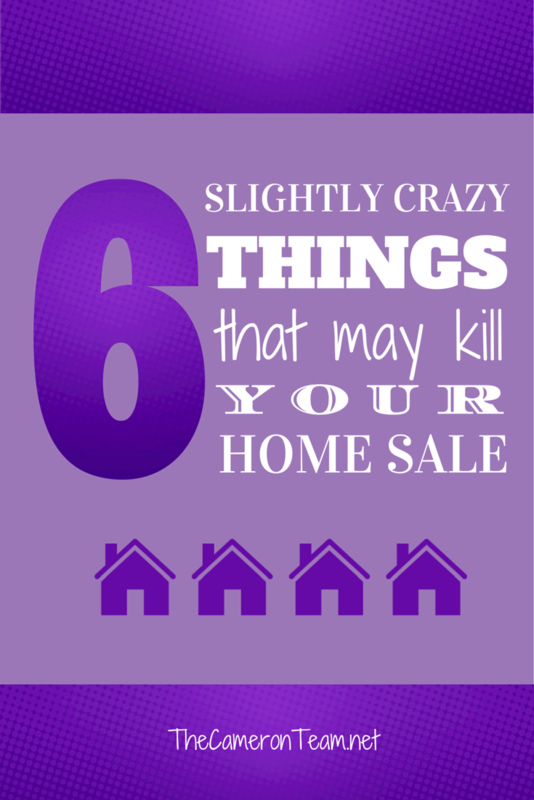 You may be thinking now that buyers are too finicky, but most of them aren’t on purpose. Like marketing any product, it’s a mind game. Just pay close attention to commercials next time you’re watching television. The marketers have 30 or so seconds to convince the viewer that they need their product in their life. To hit the key triggers that will make the viewer want to buy, they appeal to all the senses through carefully thought-out product shots, dialogue, and music. In a way, you have to do this with homes as well. Not every buyer will fit your home, but you never know when the right buyer will come, so you should do your best to make it as presentable as possible.